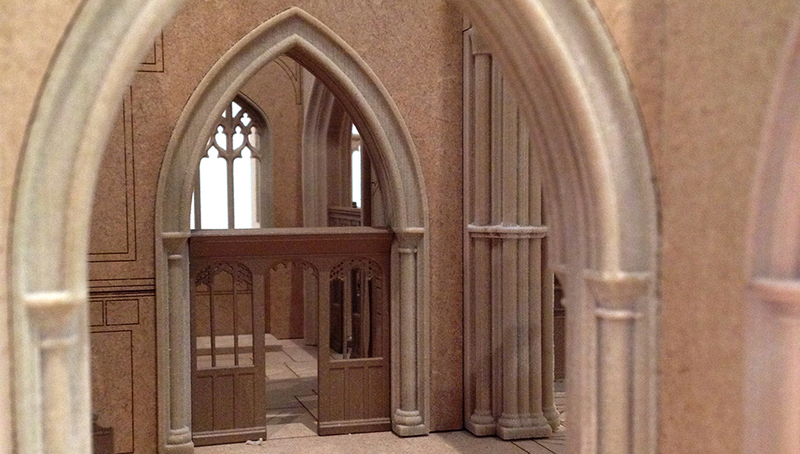 The team at chalk were approach to build the planning interior model for VHH architects which helped Leicester cathedral to win the interment of Richard III. 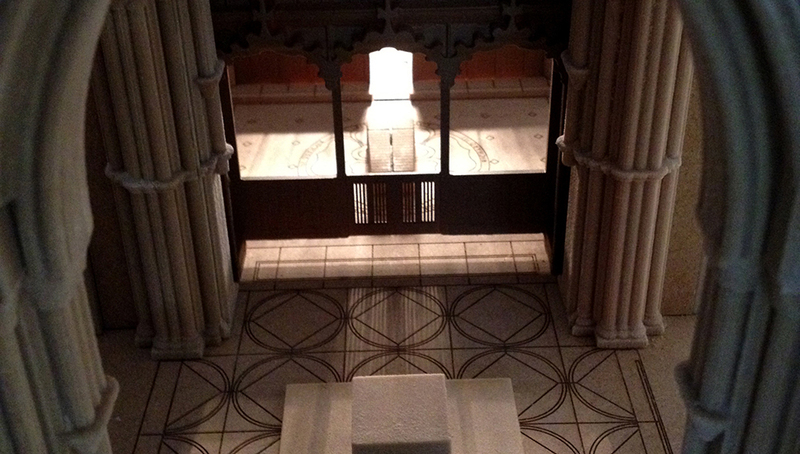 Due to the complexity of the building a digital model of the cathedral was generated using a point cloud scan survey. 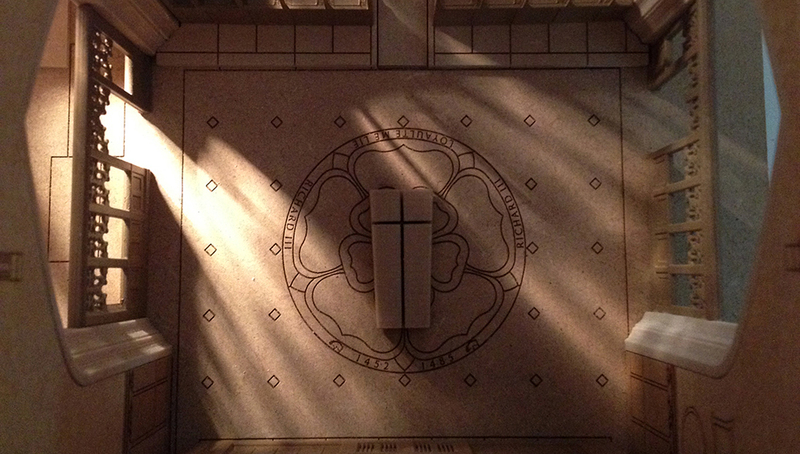 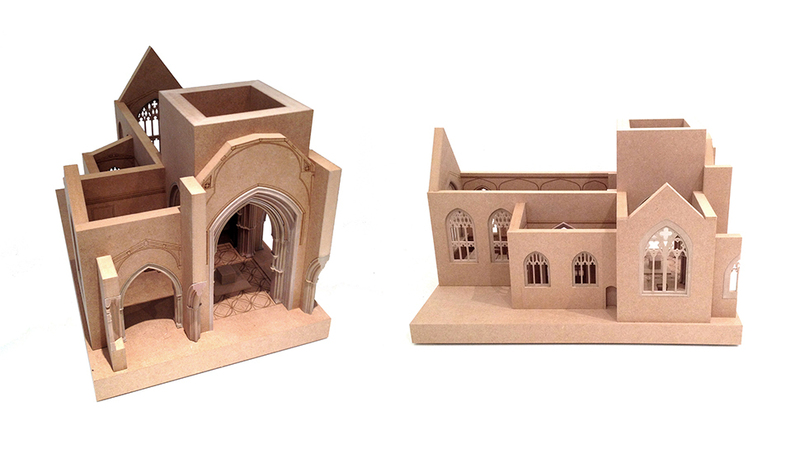 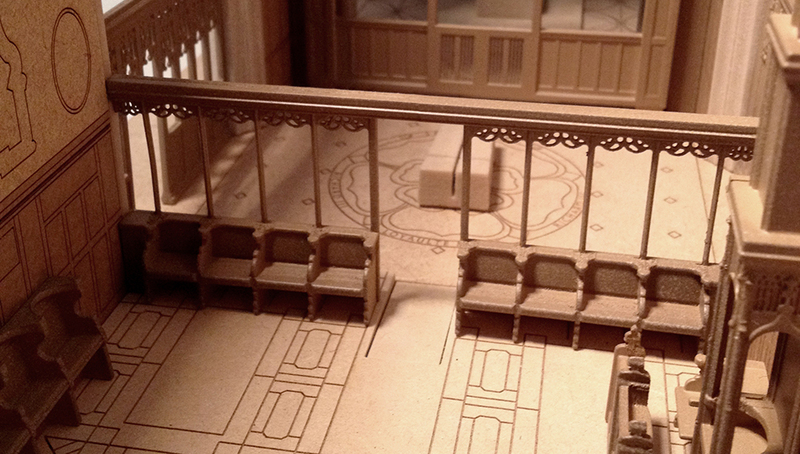 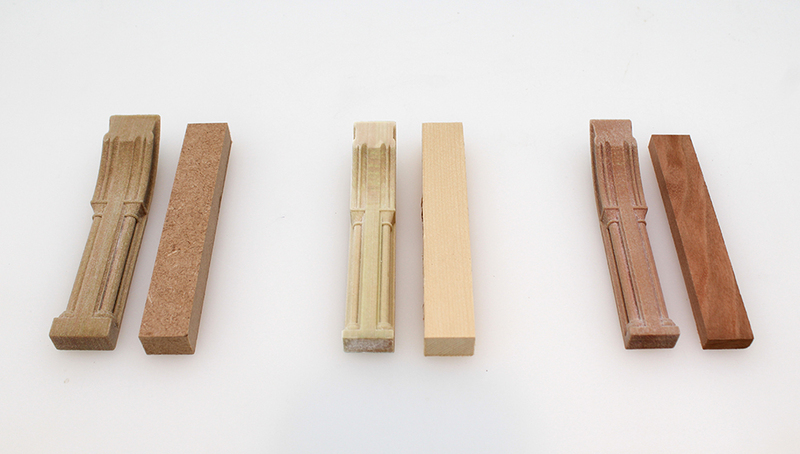 Due to budget restrictions we decided the most effective approach was to build a large majority of the interior model from MDF and accent this with laser etched details, as well as colour 3D prints to demonstrate some of the more ornate sections of the cathedral and higher resolution prints to represent areas of importance closer to tombstone itself. 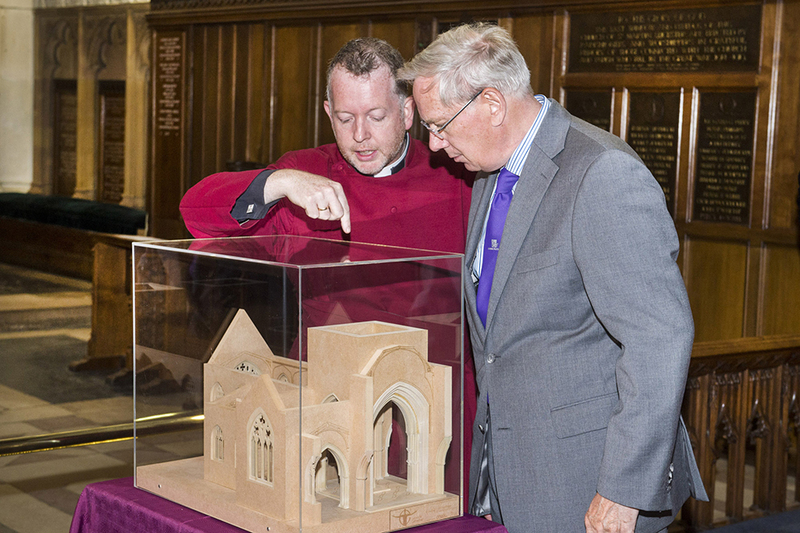 The model helped to show how VHH architects reordered the building to provide an inspiring and functional place to enhance the cathedrals mission and to allow for an appropriate reinterral of Richard III.